Our Boca Raton Sedation Dentist understands your fears with dentistry and is available to evaluate, listen to your concerns and apprehension, and recommend different dental options that may be best suited for you. Dr Peterson is Dental Sedation trained and certified, highly experienced and available to help you. Our state of the art Boca Raton dental office is one of a handful of Sedation approved offices in the area. If you’ve been putting off going to the dentist, sedation dentistry may be the solution you’ve waited for! There are several forms of sedation and relaxation dentistry we can provide our Boca Raton Dental Patients. These range from Laughing Gas (Nitrous-Oxide), to IV Sedation, to even more advanced forms of sedation. Various dental procedures can be performed, including cosmetic dentistry, veneers, dental implant placement, crown work, emergency dentistry, root canals, extractions, wisdom teeth removal, cleanings, dental scalings, whitening, bondings, and virtually any other dental procedure all under one dental office here in Boca Raton. The most common method is one where the patient is given oral medication about one hour before the appointment. This puts the patient in a light state of sedation during the dental appointment at our Boca Raton Sedation Dentistry Center. 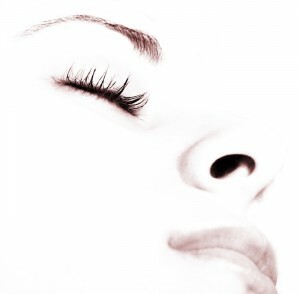 Our Boca Raton Sedation Dentistry office also offers IV Sedation. Using IV sedation, a long and complex dental procedure will be over in a Breeze! In many cases, IV sedation allows patients to get treated in only one single visit. To ensure that there is no pain, a local anesthetic will be put on the treated area as well. Your breathing, heart rate, and other signs will be closely monitored for safety. After Sedation and dental treatment, patients often do not remember much at all. This is because IV sedation places patients into a state of deep relaxation, and produces partial or full memory loss so not much is remembered. Our Sedation dental treatment is done by a certified sedation dentist that will care for the patient from A to Z. It is important to make sure to make arrangements for someone to pick you up to and from the appointment. The moment you arrive, you will be allowed to rest in a warm, quiet room under a comfortable blanket. During your entire treatment our staff will monitor you to ensure everything is going well. Being fearful of dental treatment is no longer a reason to delay your dental care as it may only get worse. Feel free to call us at (561) 391-3337 to see if sedation is the solution for you. Come to Our Boca Raton Sedation Dentistry Office to experience a more calming dental experience. Sedation Dentistry available for simple or complex care.